When you are reading a great book, it inevitably instills in your imagination a particular aesthetic. Great books have their own vibes. When someone says that something reminds them of Alice in Wonderland, for example, you immediately get a picture in your mind of slightly ominous whimsy. It’s no surprise, then, that lovers of literature the world over have opened their own hotels, and that they’ve been inspired by the written word. For today’s fantasy break, we’re visiting five hotels around the world that were inspired by classic literature. Enjoy, and vote for your favorite in our poll! Brrr! 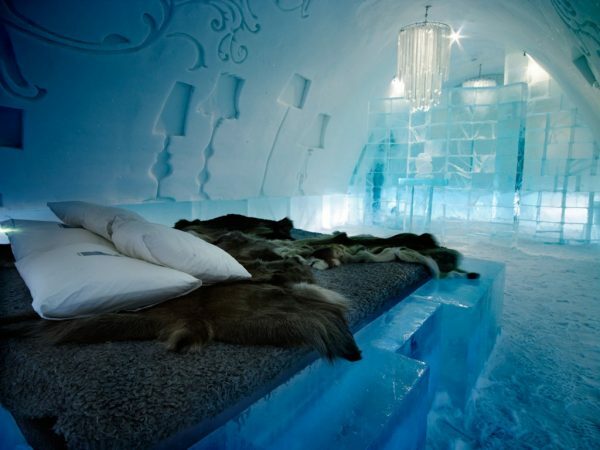 This 44-room, 70 million dollar hotel is made entirely of ice and snow! Though not always themed, this year’s iteration of the hotel is said to be a “journey to the center of winter” inspired by Jules Verne’s “Journey to the Center of the Earth.” Hotel De Glace is torn down and rebuilt every year since 2001! Created anew each year by artists, even the bowls and glasses are made of ice. If the idea of sleeping inside a block of ice doesn’t appeal to you (even though they provide fur bedding), you don’t have to stay; you can simply book a walking tour. Spectacular! $259-500 to stay. The Jane Eyre and Mr. Rochester room. 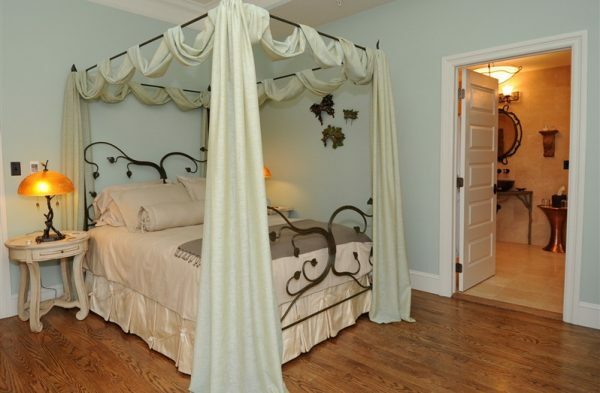 In a super meta twist, famed romance novelist Nora Roberts opened this hotel herself in 2009. Each room is dedicated to a famous literary couple, and the rooms are outfitted and furnished according to the era the book was written! 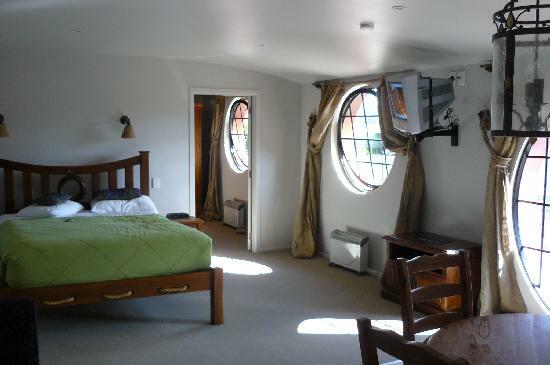 Each room even comes with its own copy of the book it is themed after. 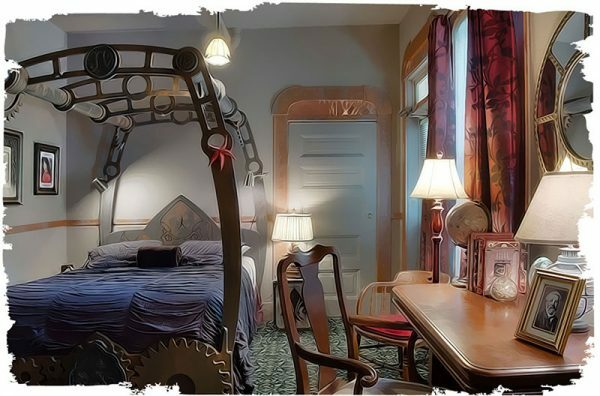 What could be more romantic than booking a room with your sweetheart that was inspired by your favorite book? Their 8 luxury rooms pay tribute to Marguerite and Percy, from The Scarlet Pimpernel (Baroness Emmuska Orczy); Nick and Nora, from The Thin Man (Dashiell Hammett); Jane and Rochester, from Jane Eyre (Charlotte Bronte); Elizabeth and Darcy, from Pride and Prejudice (Jane Austen); Titania and Oberon, from A Midsummer Night’s Dream (William Shakespeare); Eve and Roarke, from the “In Death” novel series (J.D. Robb, a.k.a. Nora Roberts); and Westley and Buttercup, from the Princess Bride (William Goldman.) Aww! $225 – $305 per night. The Titania and Oberon room. Talk about an escape! The Sylvia Beach Hotel, named after the American-born proprietor of the famed Paris bookstore Shakespeare and Company, is serious about its reading habits! You’ll find no TVs, radios, telephones, or wifi here. Guess you’ll have to catch up on your reading! The rooms are divided into Classics, Best Sellers, and Novels, and are all themed to specific authors — “Bestseller” rooms include Ken Kesey, Steinbeck, Virginia Woolf, Shakespeare, J.K. Rowling, Jane Austen, Hemingway, Dr. Suess, F. Scott Fitzgerald, Emily Dickinson, Herman Melville, Amy Tan, Lincoln Steffens, and Alice Walker. The modest “novel” rooms include J.R.R. Tolkein, Oscar Wilde, Jules Verne, and Gertrude Stein. 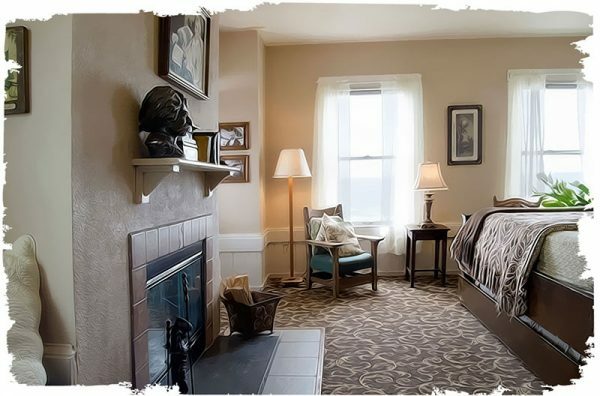 “Classic” rooms, which are naturally the most expensive and oceanfront, include Mark Twain, Colette, and Agatha Christie. Add that to the library wing, and you’re likely to get some reading done here. Enjoy a book with a view from one of the 21 rooms overlooking the scenic Newport coast. The hotel even has an oceanfront library! 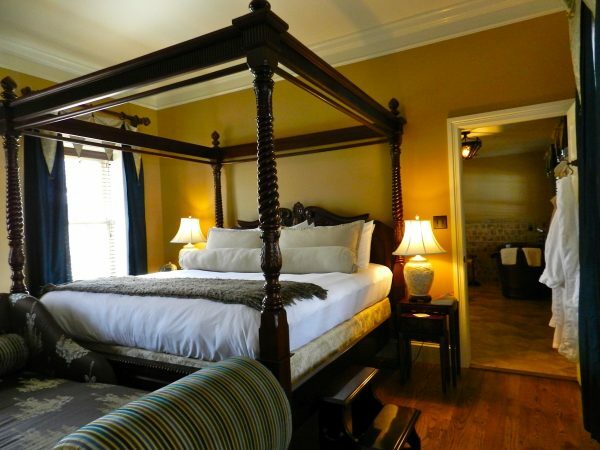 $135 – $235 per night. 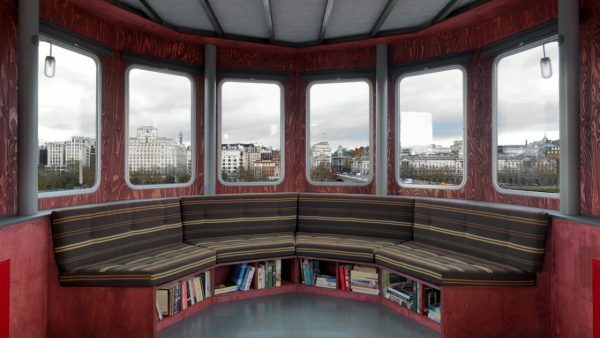 Part hotel room, part art installation, the Roi Des Belges – “A Room for London” – perches on the rooftop of Queen Elizabeth Hall, above the Thames river. It’s just one room and fits only two guests at a time! It was inspired by (and named after) the steamer Joseph Conrad helmed in the Congo, and later immortalized in Heart of Darkness. “Roi Des Belges” is french for “King of the Belgians.” The boat-shaped room has been under renovation since late 2015, and is slated to re-open next month! (May 2017.) $150 per night, stays limited to one night only. 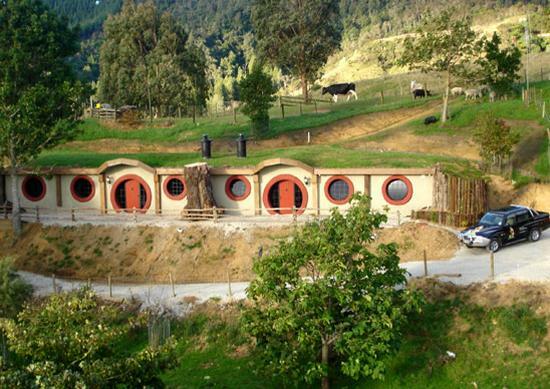 What list would be complete without a Hobbit-inspired hotel? “Come Sleep in the Shire!” They say. Gladly! Lucky for us, even though the hotel is tucked into a hillside with a resident grazing sheep and goat, the insides of the rooms are scaled to regular size. No bending necessary! Each unit can sleep up to six, and contains a kitchenette for you to warm up your second breakfast and your elevensies. Yum! $285 per night.